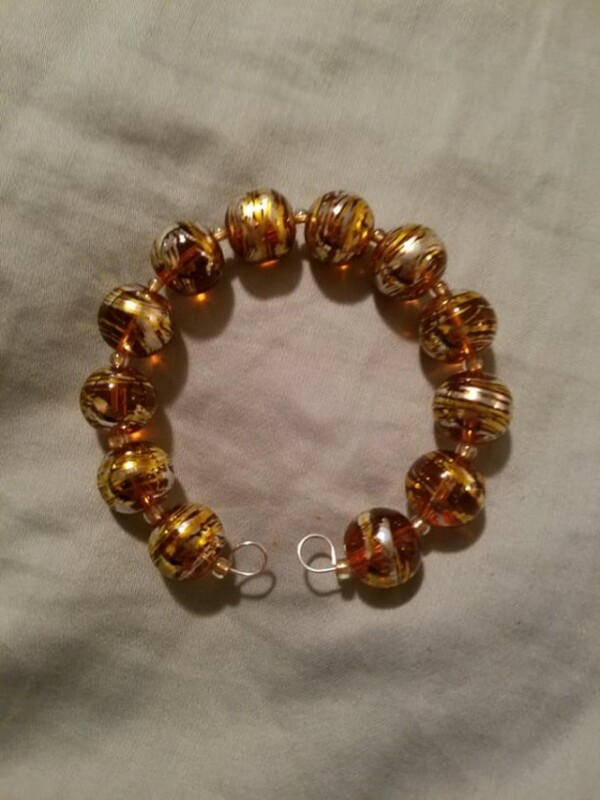 This bracelet is made from copper/gold beads on a memory wire base. Clasp can be added for free to ensure safe wearing. Wears well with neutral colors for a finishing touch!